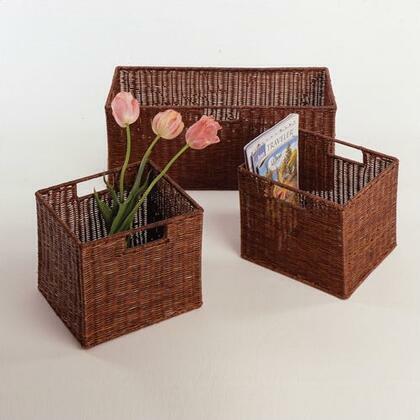 This set of three rattan baskets, which comes with one large and two small baskets, are ideal for use either as a standalone piece or paired with the Espresso Wide and Narrow Storage Shelves. 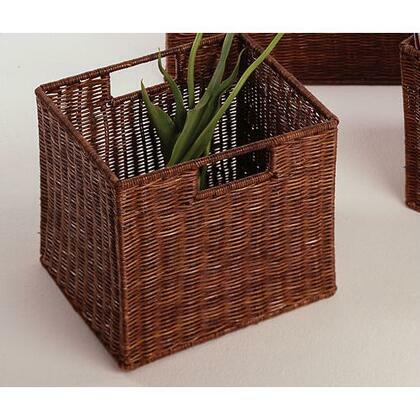 Conveniently store your books, magazines, toys, and other accessories in this elegant basket made from durable wicker. 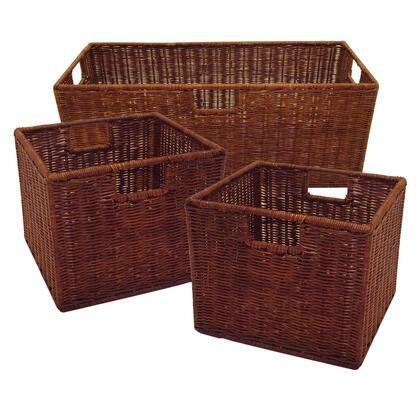 The size of the large basket when opened is 22.8"W x 10"D x 9"H and the small baskets are 11"W x 10"D x 9"H each. Made of wicker in walnut finish. Assembly required. 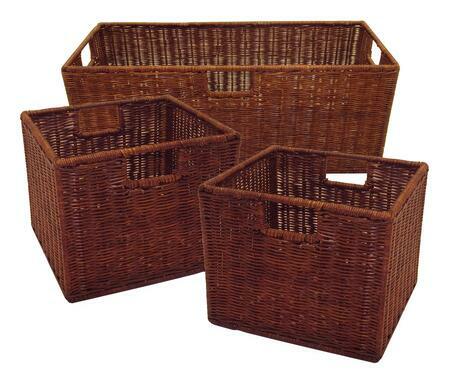 This set includes 3 wired rattan baskets. 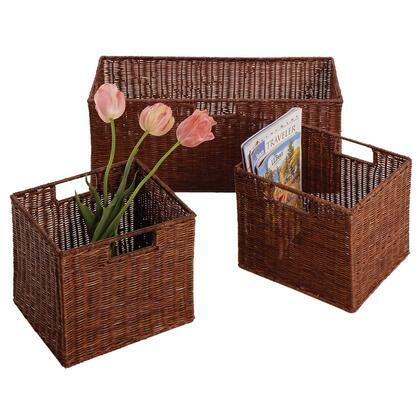 One large basket sized 22.8"W x 10"D x 9"H.
2 small size baskets of 11"W x 10"D x 9"H. Walnut color. Three baskets nested packed in one carton.